When you come home it should feel like your zen spot – but when you walk in the door, there it is – your boring, bulky staircase. It’s often the first thing family and guests see when they are in your home, too. You want to make the right first impression! Broken or bulky balusters and newel posts impair sightlines in the room and may do the opposite of enhancing the style of your home, but you don’t have to settle for this look. Have a better design, a new look, or a staircase renovation project in mind? You want your home’s staircase components to blend in seamlessly with the existing structure of your home, and you think custom newel posts or custom balusters are the way to go. We help bring to life our customers’ staircase ideas at Carolina Stair Supply with our quality custom turned components. We’re always ready to take on the challenge of customer designs at Carolina Stair Supply! Buy as part of our complete stair system for new installations or design only the components you need for your staircase update – our custom profiles are great for customizing new builds, elevating the style of existing staircase components, and replicating broken or missing components. Carolina Stair Supply designs specialty custom balusters and newel posts for our customers. We also craft interior columns and kitchen islands. So even though our name is Carolina Stair Supply, we carry the beauty of your new staircase through the rest of your home! Choose from virtually any wood species including Cherry, Walnut, Hickory, Brazilian Cherry, White Oak, Hard Maple, Ash, Yellow Pine, Mahogany, Oak and Poplar for your custom turned profiles. Whether you’re an architect, professional designer or a homeowner, you have a vision in mind for the focal point of the home and want to make sure your staircase design gets carried through with precision and originality. Our custom, quality wood profiles add lasting value and beauty to your home. Also, the ability to customize the appearance of your newel posts and balusters ensures that your home is the opposite of cookie-cutter. Even if you’re not in the market to sell, this will have all of your guests impressed! 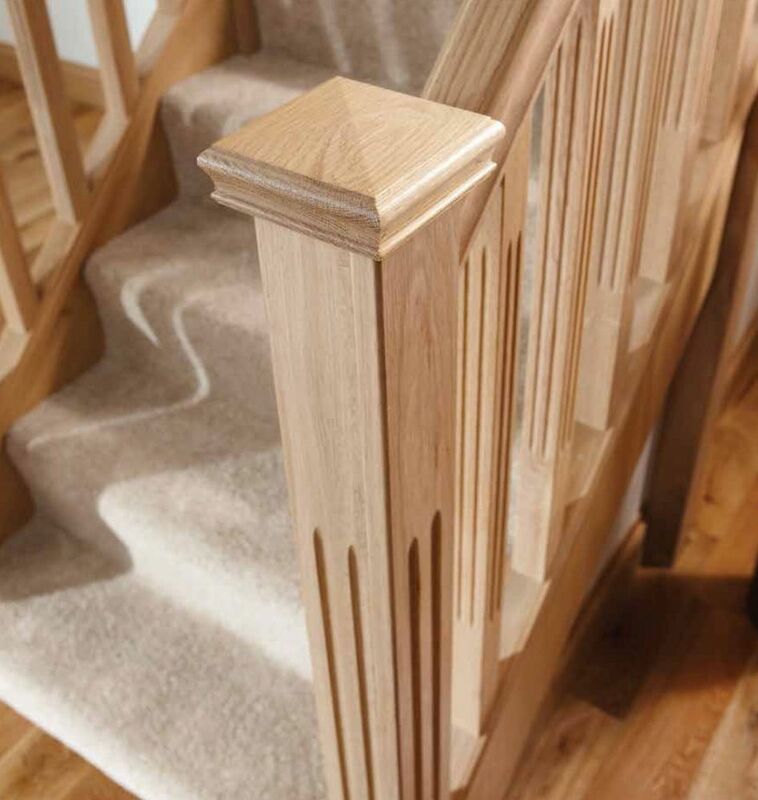 From unique designs to traditional stylings that match our customer’s specifications, our skilled craftsman will work with you to bring to life the staircase design you envisioned. From modern to mid-century and any design you can dream of, Carolina Stair Supply custom turned profiles are the perfect fit for your home. If you are trying to replicate broken newel posts or balusters, you can provide us with a piece or picture of what they used to look like and we can reproduce these components with care and precision! Turn of the century, 1800's or earlier renovations and custom turned balusters and newel posts are our specialties – our experts can match the wood species, styles and profiles to your exact specifications to create the custom components you need! Our skilled craftsman will bring that original splendor and beauty back to your home, providing quality and durability for your family and guests that lasts for years to come. Even in new builds, custom turnings from Carolina Stair Supply newel posts and other components help elevate the style of your home and add to its value.